You will need about 4 hours for this memorable tramp, but it is worth it! 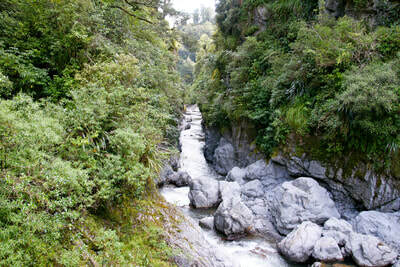 This includes time for a couple of meal breaks and viewing of the stunning gorge. 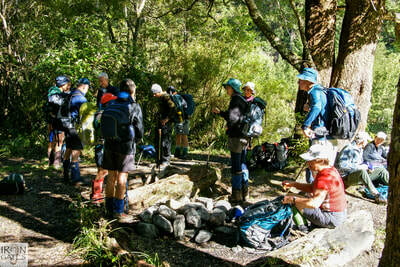 Your trip begins at the Table Flat carpark (Same place as the start of the Alice Nash Memorial Heritage Lodge walk). 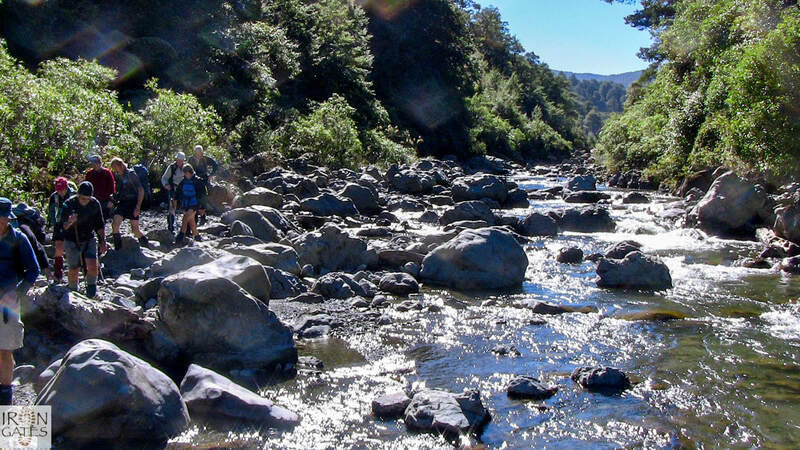 ​Then down the track over farmland and into the Ruahine State Forest Park. 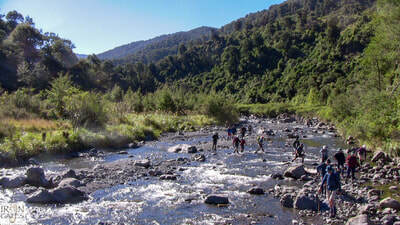 Before reaching Alice Nash Memorial Heritage Lodge, turn left down a track to the Oroua River. Turn left at the river and make your way down, crossing the river several times. 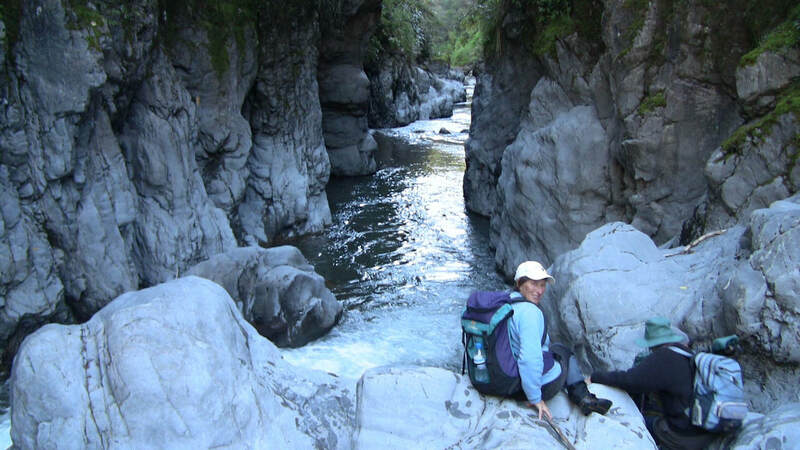 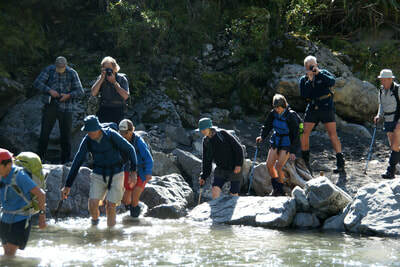 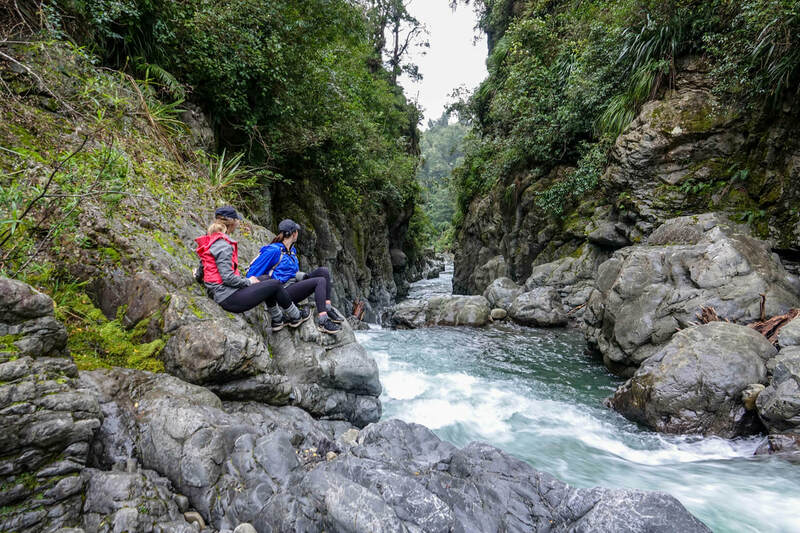 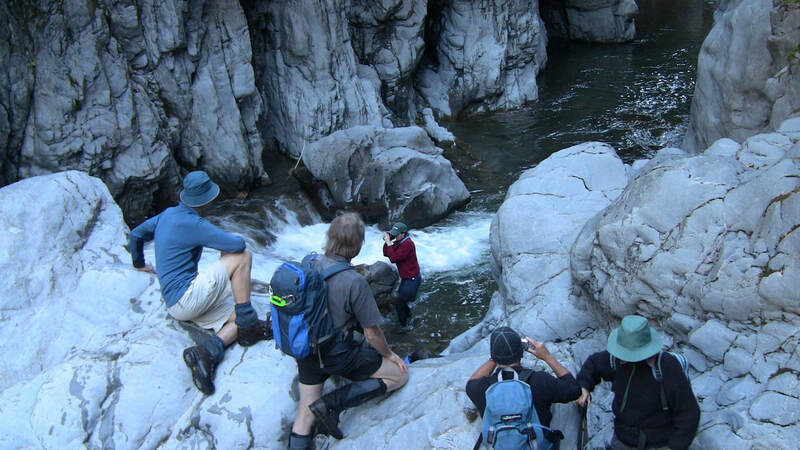 Tramping experience is essential and the tramp is only possible when the Oroua River is at low to medium levels. 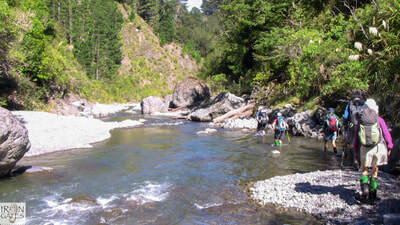 You will need to cross the river about 3-4 times before reaching The Iron Gates Gorge. 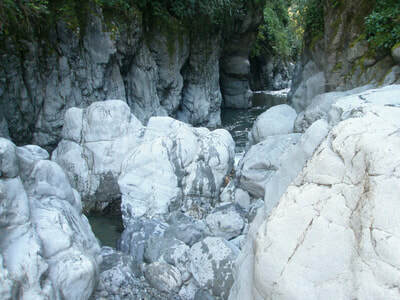 It is possible to swim through the Gates when the river is low, but flippers would be of help as the current is strong. Once you have enjoyed the amazing rocks and the scenery, head back up the river, cross it and head for The Stoat Trap’s track. 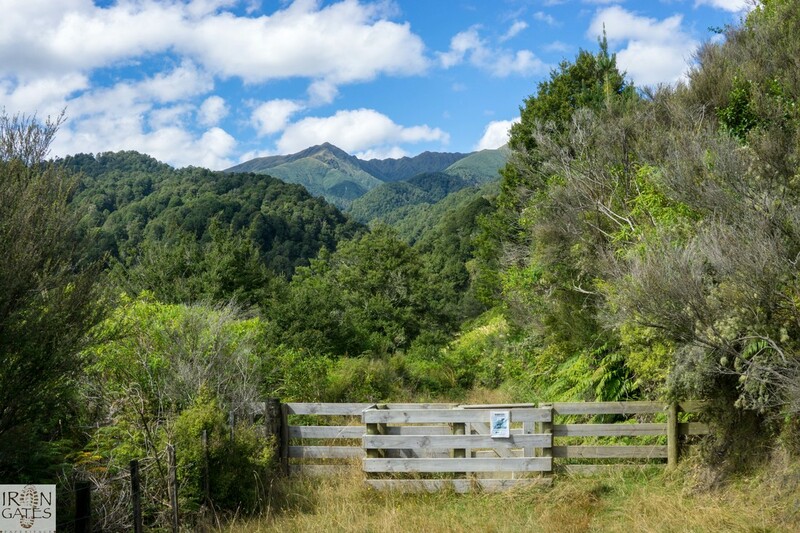 This will take you back to the track which leads to Alice Nash Hut.